There are now 3 yachts reporting less the 50nm to the finish line at 0900 CAT this morning, 1st in should be the Norwegians on Maggie followed by either Patches or Tico-Tico. Ocean Cloud (92nm) who’s tracker has not pinged since the 2nd of January should be at the Island later tonight with Silver Cloud (122nm) and Black Cat (148nm) probably crossing the finish line in the early hours of Monday morning. What is really impressive is that Black Cat who detoured to Luderitz, and only resumed racing on Sunday 30th December 2012 will have covered the 1332nm from Luderitz to St. Helena in 8 days averaging a very respectable 167nm per day. Banjo the ‘Line Honours’ winner averaged 166nm per day from Simon’s Town and the Governor’s Cup winner ‘Reaction‘ managed a 144nm average 24hour pace for the race. Perhaps the Crew from Black Cat will be the first entrant into the next Governor’s Cup because I’m certain they, like Tinus Groenewald from Reaction, will have some ‘unfinished business’ to avenge in 2014. Weather out on the approaches to St. Helena Island: Wind SE 11 -18knts, Still pretty overcast with 8/8ths cloud cover and waves of between 1 – 1.5M. Wednesday 2 January, 2013 –Banjo – Kevin Webb’s Farrier F9AX trimaran, co-skippered by Sarel van der Merwe, crossed the finish line of the 1,750-mile Governor’s Cup Race at17:35:24 on Tuesday 1 January. Eyes are now focussed on the second boat to arrive in St Helena. As the situations currently stands, Sandpiper 2 – Abri Erasmus/Paul Tanner’s Simonis Voogd 42ft catamaran ­– is due to cross the finish line sometime today. However, at 0800 (UTC) she had just less than 90 miles to go and with lighter winds expected, it could be a late evening finish. It will be interesting to see what happens with the Racing Monohull fleet as the battle for overall handicap honours continues. Although Thinus Groenewald’s Royal Cape One-Design – Reaction – is still in an overall favourable position on handicap, 12 miles ahead of Indaba (John Levin’s Stadt 34), she is currently making just 4.5kts, while Indaba is speeding along at 7.5kts to the east of the rhumb line. For Indaba to be in with a chance of winning overall on handicap in this late stage of the race however, she needs to overtake Reaction and finish far enough ahead to still win when handicap is applied. In the Rally Monohull fleet Ivan Flodgren and the Swedish team aboard their Hallberg Rassey Rasmus 35 – Kuheli – have maintained the overnight lead ahead of JML Rotary Scout, a Tosca 39. The Swedes took the initial fleet lead in the early part of the race but JML Rotary Scout, co-skippered by Peter Bosch and Stephen Jennings and crewed by a group of Scouts from Cape Town and St Helena aged between 16-18 years old, took a turn at the front of the fleet two days ago, and are keen to repeat this performance in the next 24-hours. In third place in this fleet, and sailing consistently well are the Fisher family (Luke, and Monica, together with their two children – Todd, 14, and Amy, 13) aboard Bryana, a Dudley Dix 38ft steel-hulled, home-completed yacht. As well as maintaining third in fleet, they are currently leading the race for the Family trophy. More details on the Governor’s Cup Yacht Race can be found at www.governorscup.co.za; or by visiting the Governor’s Cup Facebook page http://www.facebook.com/#!/Governorscup2012?notif_t=fbpage_fan_invite. Issued by Sue Pelling in conjunction with ADPR. Please credit images: Photography by SHBC. 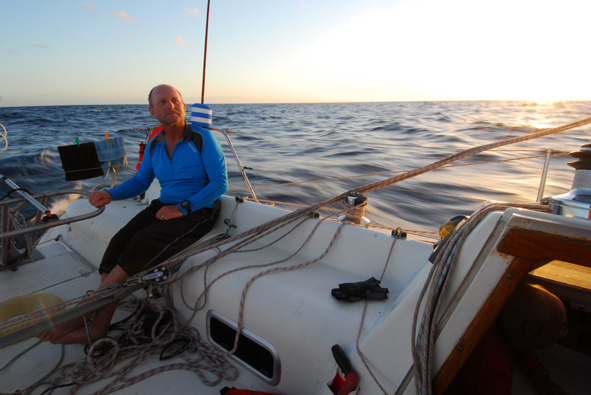 Tuesday 1 January, 2013 – Banjo – Kevin Webb’s Farrier F9AX trimaran, co-skippered by Sarel van der Merwe, from Royal Cape Yacht Club, Cape Town, is on her final descent towards the island of St Helena for the finish of the 1,750-mile Governor’s Cup race, which started on 22 December. Webb and team continue to make the most of the stunning Atlantic conditions and are currently blasting along on a downwind sleigh ride in up to 20kts of wind, in an attempt to gain time over Robert Newman’s Du Toit catamaran – Compromise – which is currently leading the Rally Multihull fleet on handicap. As the situation stands Sandpiper 2 – Abri Erasmus/Paul Tanner’s Simonis Voogd 42ft catamaran ¬– will be second to cross the finish line mid morning tomorrow. The team is currently lying in third place overall on handicap in the Rally Multihull fleet with just 200 miles to go, and are keen to beat Banjo on handicap. Speaking from the boat this morning Tanner commented: “Life is very good on board we are eating well but have had serious electrical problems, which has kept us occupied quite a bit of the time, so I am looking forward to an ice cold beer at the finish. The rest of the crew say they are also looking forward to a shower, and female company. On a serious note, though, what we want most is a good shower and the company of other humans. We haven’t seen another yacht for five days. As far as the overall honours for the Governor’s Cup is concerned, Thinus Groenewald’s Royal Cape One-Design – Reaction – is the current favourite. Although she does seem to have the edge in the favourable downwind, planning-hull conditions, it is still too early to predict the winning result. Team Reaction are racing hard to retain their position, but they are no doubt very aware of the fact they need to maintain their level of performance in order to keep John Levin’s ever-threatening Stadt 34 – Indaba – in their wake. JML Rotary Scout, the Tosca 39 co-skippered by Peter Bosch and Steven Jennings and crewed by a group of Scouts from Cape Town and St Helena aged between 16-18 years old, also continue to sail well in the Rally Monohull fleet but overnight, appear to have been overtaken once again by initial fleet leaders, Ivan Flodgren and the Swedish team, aboard their Hallberg Rassey Rasmus 35 – Kuheli. JML Rotary Scout won its class in the Governor’s Cup last time it was held (2010/11) so the team are working hard to defend their title, however, it looks as though the Swedes are on a mission. A quote from a team member of the yacht which takes line honours today will be posted on the Governor’s Cup website later today (see link below). Please credit images: Jan Theron. Ray of Light entered Lamberts Bay at around 0630 yesterday. As we approached the harbour in the rising sun we were completely blind. Fortunately we had local expert Ron Selly on the line. He guided us through the reefs and to a safe anchorage inside the breakwater. Heidi’s parents Pieter and Helga von Bredow had scouted out the place for us during the night and were a very welcome sight at the end of the breakwater. At 0715 on 31 December I turned off the Yanmar. It had not missed a beat since being fired up in Luderitz at 2100 on 27 December, 82 hours of continuous operation. We managed our diesel well, with the gauge around 3/4. We were very relieved to have completed the nearly 500 mile beat against wind and current from Luderitz to Lamberts Bay. When leaving Luderitz we had hoped to sail the shortest distance. However motoring straight into the wind was not an option. To make the best of the SE winds that veered to S we sailed on port out to sea and tacked back on starboard to Lamberts. In doing so we reduced the effective tacking angle to 60 – 70 degrees. We have two light aluminium fortress anchors. They claim to be the best anchors in the world. The last 24 hours has seen them properly tested as the very strong southerly winds arrived. They have passed with flying colours. Iain, Greg, Richard and Sophie met us for breakfast in Lamberts Bay. Iain volunteered to spend new years eve on Ray of Light doing anchor watch, enabling Heidi, Sean and I to spend the evening with Pieter and Helga in Langebaan. Iain reports that new years was a little scary as parachute flares set off from the shore were landing close to the boat, still burning. He even took the precaution of having a fire extinguisher on deck! Today we return to the boat to plan the final leg of our journey back to Cape Town. Looks like we’ll get a weather window sometime on the 2nd or 3rd. For the last leg the boat will be crewed by Michael, Iain and Sophie. Heidi and Sean get a welcome break from upwind sailing and sea sickness. The battle for overall handicap honours in the Racing Monohull fleet fought by RCYC’s Indaba and Reaction…..
Sunday 30 December, 2012 –As the 18-strong Governor’s Cup fleet make its final approach to St Helena on this 1,750-mile race from Simon’s Town, South Africa, competition is really starting to intensify. The overall line honours trophy is still very much up for grabs with Banjo – Kevin Webb’s Farrier F9AX trimaran – now threatened by Sandpiper 2 – Abri Erasmus/Paul Tanner’s Simonis Voogd 42ft catamaran. Until two days ago Banjo had established a solid lead, but the Gordon’s Bay Yacht Club team on Sandpiper 2, has sailed well over the last couple of days and is now set to launch a challenge. The current leader of the Multihull class, on handicap, is Robert Newman’s Du Toit catamaran – Compromise. The battle for overall handicap honours in the Racing Monohull fleet, is equally intense between John Levin’s Stadt 34 Indaba, and Thinus Groenewald’s Royal Cape One-Design – Reaction. The current situation shows that either of these two are in with a chance of an overall Governor’s Cup win but it will depend on what conditions are thrown at the fleet as it approaches St Helena. 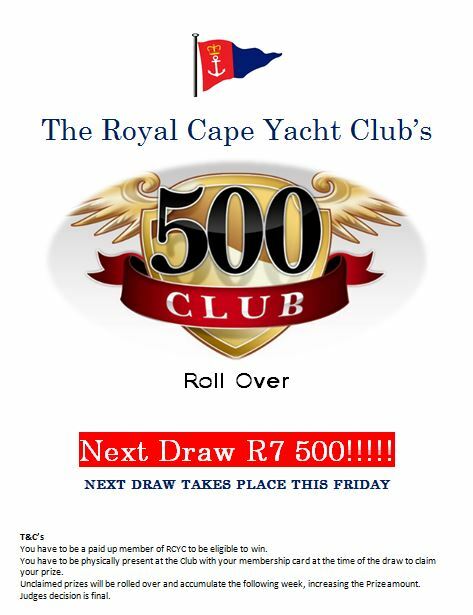 Another team who could have been in with a chance of an overall Governor’s Cup win had they not elected to race within the Rally Mononhull fleet (which doesn’t qualify for the overall trophy) is False Bay Yacht Club members aboard JML Rotary Scout, a Tosca 39. This team co skippered by Peter Bosch and Mark Jennings and crewed by a group of Scouts from Cape Town and St Helena aged between 16-18 years old, has sailed exceptionally well and have managed to overtake Ivan Flodgren and the Swedish team, aboard their Hallberg Rassey Rasmus 35 – Kuheli – who have led the Rally Monohull division since the start. Elsewhere, Adrian Pearson/Dave Immelman’s Didi 38 – Black Cat – which suffered power failure and had to make a detour for repair for repairs, has now left Luderitz on the African coast, and is back on course again towards St Helena. RMS St Helena – one of the world’s last operating mail ships – is now in St Helena awaiting the first arrivals. The ship, which shadowed the fleet all the way from Simon’s Town with family and friends of those in the race on board, will transport many of the competing yachts back to Simon’s Town once the race is over. Billy Leisegang, the principal race officer, who made the voyage on the ship, commented from St Helena this morning. The Governor’s Cup Race is a downwind 1,700 nautical mile ocean yacht race organised by False Bay Yacht Club, www.fbyc.co.za, and is now claimed to be an entry on many sailor’s ‘bucket list’. First held in 1996, the Governor’s Cup Race is a bi-annual event starting from False Bay Yacht Club in the quaint naval town of Simon’s Town, South Africa finishing in Jamestown, St Helena. For further details on the race including race documents, visit http://www.governorscup.co.za. 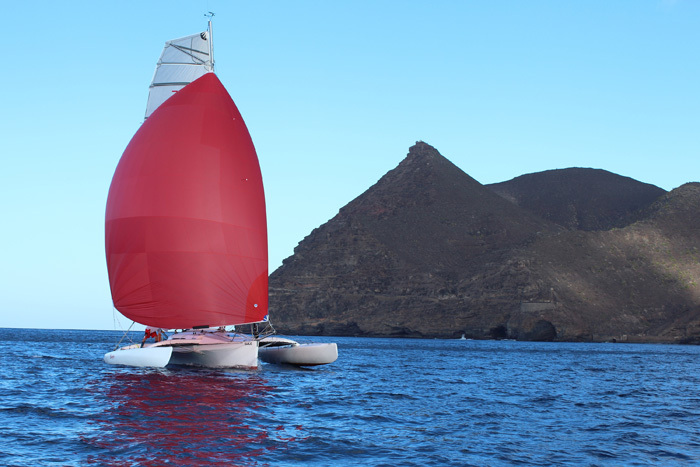 This year the race is being supported for the first time by Enterprise St Helena, which promotes the growth of economy of St Helena through the development of existing businesses and the promotion of the island to new investors and developers. With the opening of the island’s airport due by late 2015, it is anticipated that tourism, and marine tourism in particular, will be a key economic driver for the island and its community. For further details visit www.investinsthelena.biz. For further details on St Helena Island, visit www.sthelenatourism.com. The Governor’s Cup race is proud to be supported by Andrew Weir Shipping SA (Pty) Ltd – www.aws.co.ukand RMS St Helena – www.rms-st-helena.com. Saturday 22nd December 19 yachts will set off for St Helena Island. Six of these yachts are from Royal Cape. The Governor’s Cup is an approximately 1700 mile yacht race starting from False Bay Yacht Club in Simon’s Town, South Africa, to James Bay on St. Helena Island. The yachts should all have arrived by 8th January. The first Govenors Cup was raced in 1996 with fifteen entries. We thought you may be interested in this five minute interview with Billy Leisegang, General Manager of False Bay Yacht Club and Principal Race Officer. Here Billy discusses what has been involved in organising the race, who takes part, the most challenging parts of the race, what happens on St Helena when the race has finished and, how the winners are decided. or call 01460 241 641. The Governor’s Cup Yacht Race is a downwind 1,750 nautical mile ocean yacht race and is claimed to be an entry on many sailors’ ‘bucket list’. First held in 1996, the Governor’s Cup Race is a bi-annual event starting from False Bay Yacht Club in the quaint naval town of Simon’s Town, South Africa, finishing in Jamestown, St Helena – one of the most remote destinations in the world and currently only accessible by one of the last operating Royal Mail Ships, the RMS St Helena. I and my team are responsible for making sure that yachts are fully prepared for the race and its challenges. Our work starts from the time we formally publish the ‘Notice of Race’ to the time the competitors arrive back to Cape Town on the mail ship, RMS St Helena. During the race our job is to monitor progress of the fleet and report back to Race Control back at False Bay Yacht Club, where the website is updated, including live tracking of each yacht’s progress. On arriving in St Helena we time the yachts over the line and calculate handicap results. We also ensure that each yacht is welcomed by our team on the St Helena Dive Club’s Boat with a gift of champagne and beers! During their stay on the island, we provide support for the competitors and supporters and St Helena Yacht Club, together with the Islanders, provide a full programme of entertainment. We also provide support during the loading of yachts on to the RMS for the return voyage and the delivery of yachts, crews and supporters back to South Africa. How long have you been sailing? I have been sailing for over 50 years, since I was a boy. I have always been a competitive sailor and have achieved Provincial and National (Springbok) colours for ocean racing. Apart from sailing regularly and participating in local and international events, I have been an active committee member throughout my sailing life and have served on the Governor’s Cup Organising Committee since 2002. Having taken early retirement from the retail world, I was employed by False Bay Yacht Club in April 2010 as Sailing and Amenities Manager before becoming General Manager in January 2011 – the perfect position for my sailing passion. It really is a dream come true – working in a wonderful environment with wonderful people, an incredible setting and family atmosphere, and the best Club in the world! How would you position the Governor’s Cup Yacht Race? Whilst the race could be compared to events like the Newport to Bermuda downwind dash, the Sydney to Hobart race, or the longer Cape to Rio Race, it is truly unique in that it is an event with ‘three holidays in one’. There’s the downwind dash from Simon’s Town to the South Atlantic Island of St Helena with all the excitement of surfing down the huge Atlantic rollers, whilst loved ones sail on the RMS St Helena where they’ll arrive after Christmas at sea to welcome you with champagne and cold beers! Then there’s the holiday in paradise on St Helena with the welcome and inclusion in Islander life. And finally there’s the five star return voyage on the RMS St Helena, which the majority of the participating sailors and their yachts are booked on to return to Cape Town. This is five nights of fun and laughter, the best of food, plus days and nights filled with traditional mail ship deck games and entertainment. Have you competed in the race yourself? I have taken part in the race four times on our family yacht ‘Our Dianne’ and have been awarded the Governor’s Cup overall handicap trophy three times, with overall line honours in the fourth race. We even won a year’s supply of Peroni beer in the 2010 event! The whole family has been part of the race, with the live ‘Dianne’ (my wife) and eldest daughter, Donna, as supporters and with my son, Riàn, co-skippering in all four races, together with my youngest daughter, Terry, co-skippering in the 2002 race. Who takes part in the Governor’s Cup? People from all walks of life enter the Governor’s Cup, from wealthy executives to those that have to raid the piggy bank – but all are equal on the playing field of the sea! Some sail by the seat of their pants and some use expensive and advanced technology. This year we have over 90 people participating, from a single handed racer in the smallest entry boat, to a Scout Association youth crew, family cruising boats, a folding trimaran competing with the fast downwind racing yachts and a yacht bringing Saints (as those from St Helena are affectionately known) back home. With such a variety of yachts entering the race, how is the winner decided? The Bellows Line Honours Tray is awarded to the first racing yacht to cross the finish line, with the Governor’s Cup being presented to the first placed racing monohull on handicap. Rally trophies are also awarded for cruiser mono and multi-hulls, which take advantage of being allowed to motor for 100 miles to get them to the prize giving on time. There are a further five trophies for various awards including the Ambrose Family Cup, three Taylor Trophies and the wooden boat for the first FBYC yacht on handicap. The handicap system works on multiplying a carefully calculated yacht performance time correction factor to each yacht’s finishing time, with the yacht with the lowest corrected time being declared the winner. What is the most challenging part of the race? The organisation of the race is certainly the most challenging part. It has taken a full committee a year of hard work to plan and organise the entire event and even then how we manage to get everything done in time, no-one knows! Sponsorship is another huge challenge and we thank all those that have contributed to the race and individual entrants. In terms of the race itself, the most challenging part is keeping the yacht sailing to its full potential. A yacht such as the one I race, ‘Our Dianne’, can surf down an Atlantic roller at speeds in excess of 20 knots (37 km per hour or 23 miles per hour). You can then be almost becalmed and have to concentrate for hours to gain every little advantage over competitors. How do you ensure competitor’s safety during the race? We work with South African Sailing, the controlling body of sailing in South Africa, who give us “Controlled Event” status after we have satisfied them of adequate safety precautions. We have a nominated “sweep boat”, which has a powerful engine and the equipment required to communicate and respond to emergencies. All yachts entering the race are required to be equipped with either a long range UHF (Ultra High Frequency/Single Side Band) two way communication radio or a Satphone, a short range VHF (Very High Frequency) two way communication radio and an EPIRB (Emergency Position Indicating Radio Beacon) which, when activated, allows search and rescue to locate the yacht or the crew if they have deployed their life raft and abandoned the yacht. All yachts and crew have to be certified to go offshore with a Yachtmaster (or two Coastal) skipper and Category A Safety Certificate, and yachts are required to complete a 200 mile shake down voyage. They are also inspected immediately before the race to ensure that they are adequately prepared and provisioned for the voyage. During the race, Race Control work with the local and International safety and reaction authorities, which are alerted and deployed in the event of an emergency.There are three government or semi-government departments involved, Cape Town Radio, MRCC (Maritime Rescue Co-ordination Center) and ICASA (licensing authority). And the final safety precaution is the provision of tracking the fleet, which can be activated in the event of a crisis. Tracking has the added benefit of being displayed live on the website, allowing supporters, media and race organisers to follow the progress of the fleet. What happens on St Helena once the race has finished? Each yacht is greeted at the finish line and presented with a welcome pack of champagne and beer, and the Governor of St Helena personally greets as many yachts as possible. Then the 10 day party begins with hikes, catch ups and lots of planned entertainment! St Helena is not the usual Island destination, which is what we love about it. There are no casinos or high-rise hotels with nightclubs and folk are seldom seen dressed up to the nines. Daytime activities include scuba or snorkel diving amongst the beautiful and plentiful fish; dolphin trips; beautiful hikes and trails; scenic drives encompassing barren volcanic desert and subtropical rain forest; historical tours including Napoleon’s residence and tomb; climbing the 699 steps of Jacobs ladder; and no stay is complete without a visit to see Jonathan – the 170+ year old tortoise! What do you think is the best part of the race? I love absolutely everything about the race! Being part of the organising committee, the lead up to the race, which starts with Saints sharing our home; the race itself with all the fun, laughter and camaraderie between crews and competitors; the Island and its magnetic people, and the trip back on the RMS – it’s quite a sight to see the majority of competing yachts stacked on to the RMS to return to Cape Town! With an airport due to open on St Helena in 2015 and the race now beginning to receive international awareness, how will this affect the race in future years? Previously, St Helena, the mooring area and the RMS have proven to be able to cope with a fleet of around twenty yachts, but with an airport on the horizon, I am sure the number of entries will be easily doubled, if not trebled and we hope to see entries from countries such as the UK, Europe, the USA and South America. 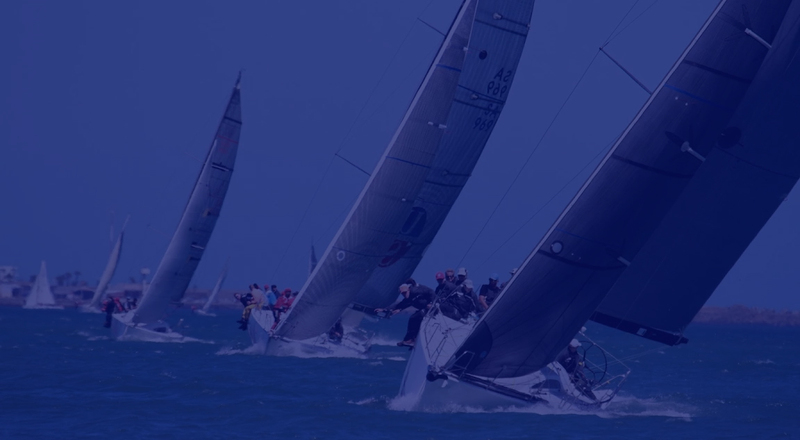 Future events could be extended to include special classes such as single-handed, double-handed, Superyachts, Mini-Transats and the like, with air access providing the means for competitors to return home at their convenience instead of relying on the RMS schedule. And finally, do you wish you were competing this year? Yes, but this time around it is my turn to put something back into this magnificent event! Who knows, there is a potential UK family looking into the next race, so ‘Our Dianne’ may sail again? Perhaps to coincide with the opening of the airport?